Part of The 2017 OPEN MINDS Executive Development Series — Nationally recognized educational programs developed specifically to support the management needs of health and human service organizations serving complex consumers — this session will revolve around answering the question: How do you make the shift to pay-for-value successful? The question most executives are asking themselves is: How do you make the shift to pay-for-value successful? 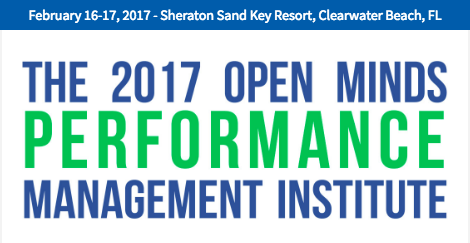 The answer to that question is the focus of The 2017 OPEN MINDS Performance Management Institute. 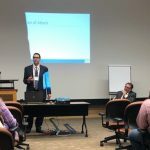 This information-packed, two-day event will give executives the tools they need to realign their services, financing, and operations for success in a value-based care market. How? 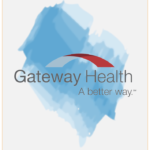 By showcasing the payer and provider organization partnerships that are leading the way in the world of value. The institute will feature a series of real-life case studies from organizations that are succeeding in the transition to value-based care. Through these examples, executives will not only learn how to make the successful transition to pay-for-value, but also gain insight into the process and learn how other trail-blazing organizations made the leap into the future. Whether you’ve already seen a shift away from fee-for-service, or are still anticipating the transition, join us this February in Clearwater, Florida to learn from the industry thought leaders, innovators, and market experts who are making value-based care a success.